This is floral fantasy with smoldering fire. 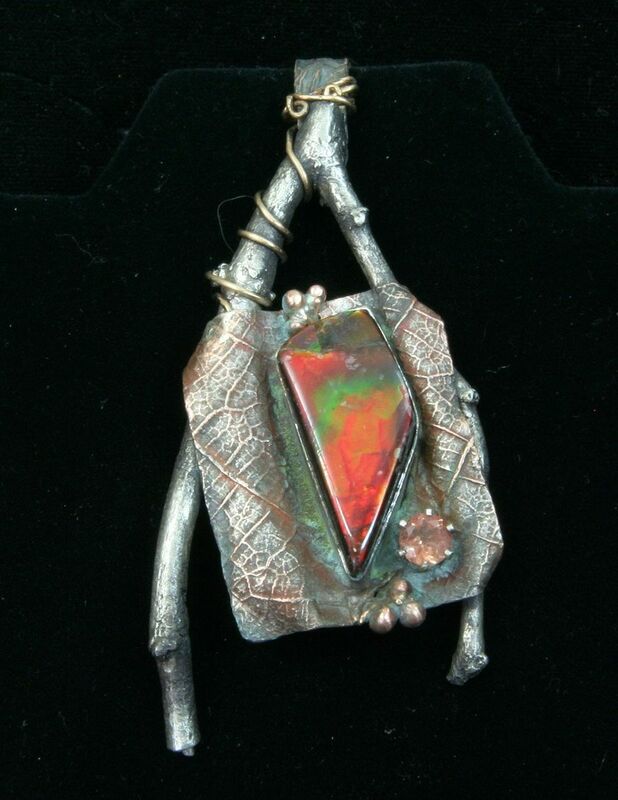 I set this glowing piece of 60 million year old opalized Ammonite in a nest of cast silver branches and sterling leaves. I really enjoyed building this piece of jewelry. It is a stand out whenever its worn. I watched many heads turn when my wife wore it to the museum recently. The twigs are from my yard. The faceted stone is a great tourmaline.